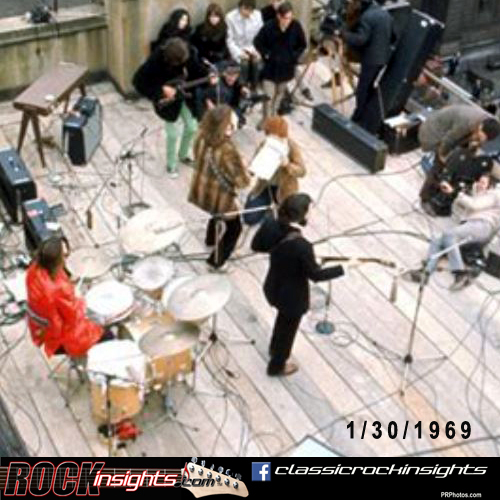 50 years ago on this date on a London day as chilly as the relationships between them had become, the Beatles did their last public performance together on the rooftop of the Apple headquarters. Rockers of note born on January 30th included Marty Balin of the Jefferson Airplane & Starship (1942) and Faces and Humble Pie guitar great Steve Marriott (1949). KISS did its inauspicious first performance on this day in 1973 at a Queens, New York club in front of a handful of people. Robbie Robertson was the musical guest on Saturday Night Live on this night in 1988. The following year on the same night, Don Henley played drums during Guns N' Roses performance at the American Music Awards show.